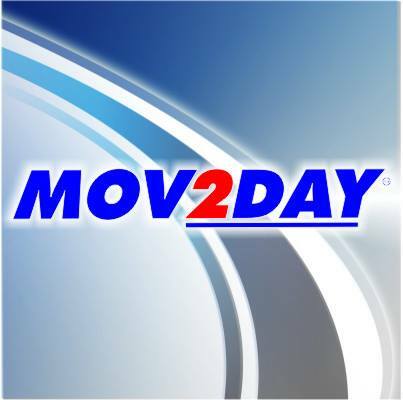 MOV2DAY, a Division of Apple Moving Inc. serves the Greater South West Florida Region through its locations in Naples, and Fort Myers. We offer local and long distance furniture moving to anywhere in the continental United States. We specialize in household and commercial moves but we are also your small delivery expert. Our website has valuable information on how to choose the best moving company for your needs, what to expect in a bid, how to plan for your move, tips on packing and much more. When you’re ready for an estimate or to book a date for your move, our friendly and professional staff will be there to help. Our employees enjoy what they are doing and it reflects in our can do attitude and communal pleasant demeanor. We have serviced the greater South Florida area for over 19 years and have moved thousands of homes. Our commercial client list inside Naples Florida is extensive and unmatched. Most of our employees have been with us for many years helping us to secure an employee retention rate that is almost unheard of in this industry. We are committed to reaching the upper echelons of customer care and through time exceeding them to set a new precedent in the moving industry. And of course, we still have our first client. We are one of only a hand full of Naples FL movers that are fully licensed, insured and federally regulated. Please fill out the form and we will contact you to schedule a free on-location estimate! Nate and Oscar were AMAZING!!!! This is the fourth time Nate helps me and my company Real Wood Floors on 2013 Trade Center Way in Naples, FL. Consistently, he gets here on time or 10 minutes earlier. He comes always well prepared. These guys do not mess around, they get straight to work and do it expeditiously. They are very courteous and professional. They are careful with my property and belongings. I will definitely keep requesting their services in the future. I highly recommend Nate and Oscar as well as Chris and Joel. I dread moving normally, but today could not have gone smoother. The movers are personable and most importantly efficient and careful. I have never seen movers get so many things into a truck so quickly and carefully. I will never move again without help and this company was amazingly helpful! I would recommend them to anyone! Steve Randy R. And Brandi were Amazing. Simply the best. Had stairs all day and killed it!!! Will highly recommend your company. Personal. Efficient. Kind. Careful. True professionals in an industry that often has challenges and issues. With the crew of Jason. Steve and Kent you can be assured of the very best in professional service.